The history of Bodegas Pinord can be traced back to the time when, over one hundred and fifty years ago, the Tetas family began making white and red wines on their estate in Sant Cugat Sesgarrigues from grapes they themselves had grown. 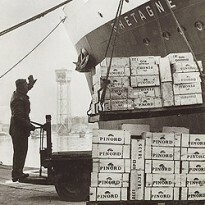 Even at that time, they produced and aged the wines using the most traditional methods employed in the region. In 1942, Josep Maria Tetas set up the current winery in Vilafranca del Penedès, just four kilometres from the original estate. It is the name of this vineyard in actual fact which inspired the family to create the company’s name: “Pi del Nord” (Pine of the North) and today, which has been reconverted to organic farming, providing the winery with high quality grapes, just as it did centuries before. 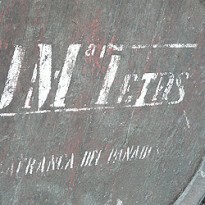 At that time, Miquel Tetas, the father of Josep Maria, fermented Xarel·lo grapes from his vineyards and once it was said he travelled all night with a horse and cart and two 500 litre barrels to sell his wines in Barcelona, where the inhabitants very much enjoyed the finesse of his wines. Soon, Josep Maria Tetas, who was an inquisitive and enterprising man, observed how some of his young wines spontaneously gave off small quantities of carbon dioxide – bubbles just like French pétillant or Italian frizzante wines. 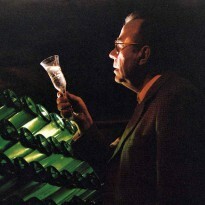 He began to investigate how to ferment his grapes in order to keep this effervescence in his wines. Reynal, the first pearl wine ever made in Spain was the result of his research. Success was immediate and was far and beyond expectations: very soon, Pinord started to export their wines around the world and the winery grew rapidly. They extended the winery and increased production. It was during these years, that Marrugat Cavas was created using the surname of Josep Maria Teta’s wife, whose family had long been linked to winemaking in the Penedès region. They also started to make a range of still wines, muscadelle wines, and other specialities which made up a very wide-ranging portfolio of wines, gaining the winery accolades and international fame during the Fifties and Sixties. 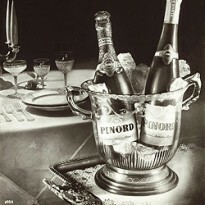 It was at this time that Pinord became one of the reference points of winemaking in Penedès.